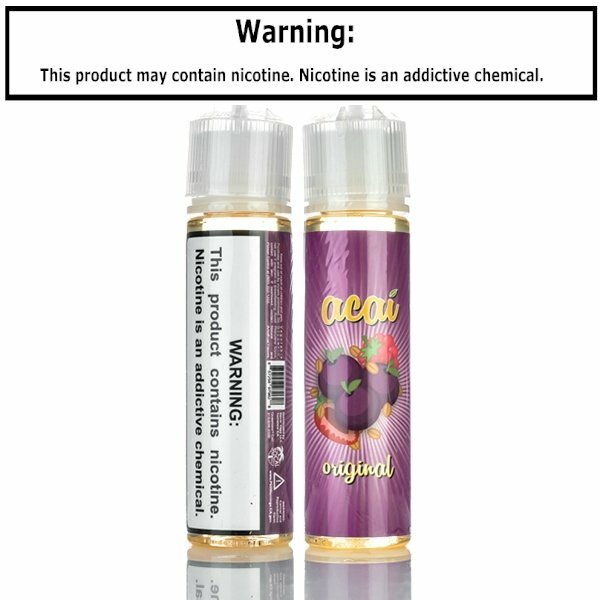 Acai E-Juice presents their Acai Original, Like biting into a rich blackberry, raspberry, and creamy goodness all at once, the delicious Acai berry flavor of this E-Liquid will make your mouth water for more. The creamy smoothness of a nutty granola smoothie satisfies on the aftertaste, leaving you with the full Acai Original experience delivered, every time. Ripe sweetness, wholesome rich flavor, and quenching delivery of a full-bodied vape experience will leave you craving for your next enjoyment. Comes in a authentic 60ml Chubby Gorilla Bottle.